A scene from ArabNet Digital Summit 2015 in Dubai. 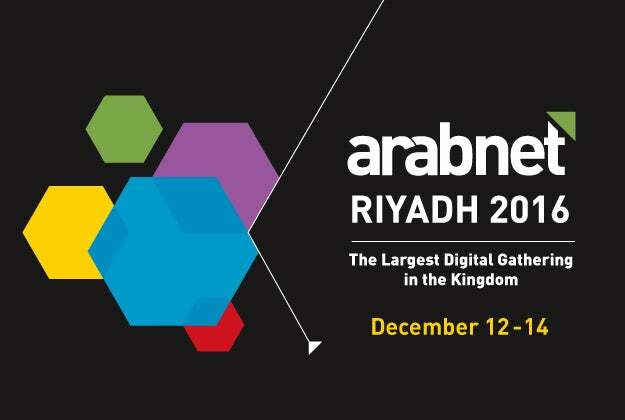 ArabNet is heading to Saudi Arabia in December for the fifth edition of ArabNet Riyadh to be held on December 12-14, 2016 at the Four Seasons Hotels in Riyadh. As a key forum for digital businesses in the MENA region, ArabNet expects to welcome over 1500 attendees for the 2016 edition, which focuses on the digital economy of the Kingdom and its Vision 2030 plan. Being hosted in three parallel tracks –smart economy, media, and entrepreneurship- ArabNet Riyadh brings together expert speakers to discuss transformations, challenges and potential associated with each theme. Besides a pre-event workshop for entrepreneurs and developers, and TechFair, a digital business showcase space, the conference offers a platform for regional startups to pitch their products and business through the signature Startup Demo and Ideathon challenges. In addition, the region’s gaming community also stand to meet potential partners at The Battle of the Games challenge. The speaker line-up includes Fahd Hamidaddin, Chief Commercial Officer, King Abdullah Economic City (KAEC), Ahmad El Alfi, founder and chairman, Sawari Ventures and co-founder, Flat6Labs, Sarah Ayed M. Al Ayed, co-founder and partner, TRACCS, among others. Startups can apply before November 1, 2016 to be a part of Startup Demo and Ideathon, and apply to Battle of Games before November 9, 2016 to showcase your games.